During college, I briefly dated a guy from Charlotte, North Carolina. One day in the laundry room, I bumped into one of his friends. He asked me what my name was, and when I said “Charlotte,” he said: “Oh! And David is from Charlotte!” And he gave me a big smile that spread into his clear blue eyes. After which we chatted idly, as two people at the laundromat were wont to, before the age of smartphones and ipads and digital addiction. Later, I recounted this exchange to David. “That’s an “in”,” he said, looking at me pointedly. So. I don’t really have an “in” to this recipe- but it’s such a showstopper, that I don’t think we really need much to break the ice. 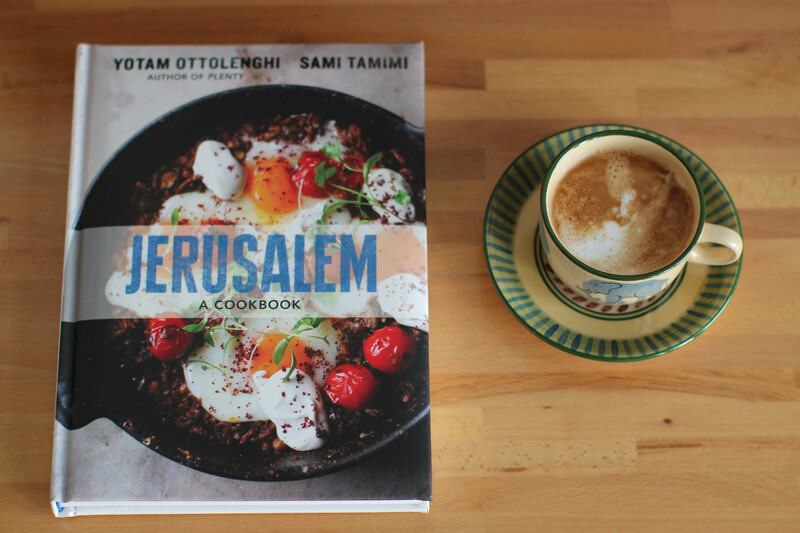 I’ve already proclaimed my love for Yotam Ottolenghi, and mentioned how eagerly I awaited his and Sami Tamimi’s latest cookbook, Jerusalem. It’s a gorgeous book, and I’m smitten (as is the rest of the internet). It sits heavily in your hands, commanding your attention, with beautiful, full page photographs by Jonathan Lovekin, who photographed Ottolenghi’s previous masterpiece, Plenty (as well as Nigel Slater’s Tender, another absolute stunner). So, Jerusalem. It makes you travel. I mean, I was slightly hesitant about how much I would enjoy it, since Jerusalem is just a short drive away, but this book makes a city I know really well sparkle with magic, and makes me want to step out of my front door. The recipes showcase flavors and ingredients that I grew up with, but with an interesting twist. Take, for instance, a recipe for roasted chicken with clementines and arak. We’ve all had chicken with some sort of citrus and some sort of alcohol, right? But clementines? And arak? That anise-flavored booze of the Middle East? Way to take a classic recipe and put a spin on it that lands it firmly in this spot of the earth. It didn’t take long for me to try it. I had plans for a Friday night dinner with friends, and well, that was all I needed. After a quick trip to the souk (clementines! fennel! flowers! ok, not for the recipe, that last one), I stepped into the kitchen. You make a marinade that’s bursting with flavors- whisking together olive oil, orange juice, lemon juice, brown sugar, mustard, arak, fennel seeds. (You take a shot or two of arak). Then, you slice your fennel and clementines and add them to a large roasting pan, along with the chicken pieces, and give it all a bath in the marinade, before relinquishing it to the oven. What emerges, 45 minutes later, is a show-stopping main dish. The fennel is soft, and soaked through with flavor, its edges golden; the clementine slices are heady, caramelized orbs with jammy insides; the chicken is juicy and tender, under a crisp, crackling skin. The sauce is a riot of flavors: there’s the triple punch of fennel, the brightness of the citrus juices, the oomph of the mustard, mellowed by the soft kiss of brown sugar. All this from a recipe that basically has you slice fennel and clementines, place them in a roasting pan with chicken pieces, mix together a marinade in one bowl, pour that over, and place it in the oven. I’ll stop here. Get ye to your kitchens. 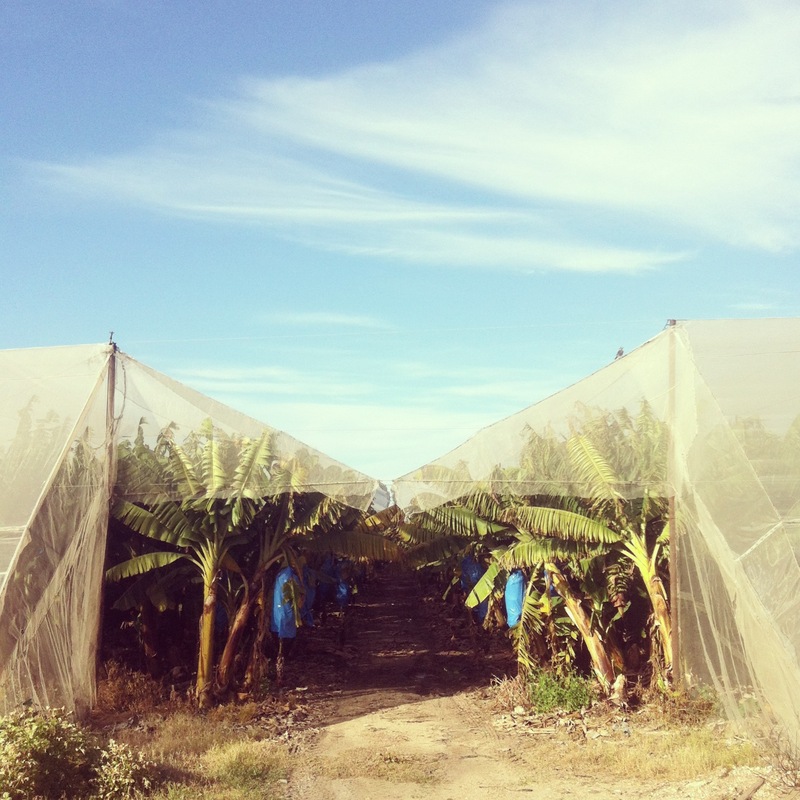 A little writing inspiration on the always inspiring Vanilla Bean Blog. Serve with plainly cooked rice or bulgur. Place the ingredients for the marinade in a large mixing bowl, and add 2 1/2 teaspoons salt and 1 1/2 teaspoons black pepper. Whisk well and set aside. Trim the fennel and cut each bulb in half lengthwise; then cut each half into 4 wedges. Slice the clementines horizontally into 1/4-inch/ 0.5 cm slices (without peeling them). Add the fennel, clementines and chicken pieces to the marinade. Stir well with your hands, and leave to marinate in the fridge for a few hours or overnight (you can also skip the marinating stage if pressed for time- I did, and it was still wonderful!). Preheat the oven to 475F/ 220C. Select a baking sheet large enough to accomodate everything comfortably in a single layer (roughly a 12 by 14.5 inch/ 30 by 37 cm pan); and arrange the chicken and its marinade on it, with the chicken skin facing up. Once the oven is hot enough, place the pan in the oven and roast for 35 to 45 minutes, until the chicken is golden and cooked through. Remove from the oven. 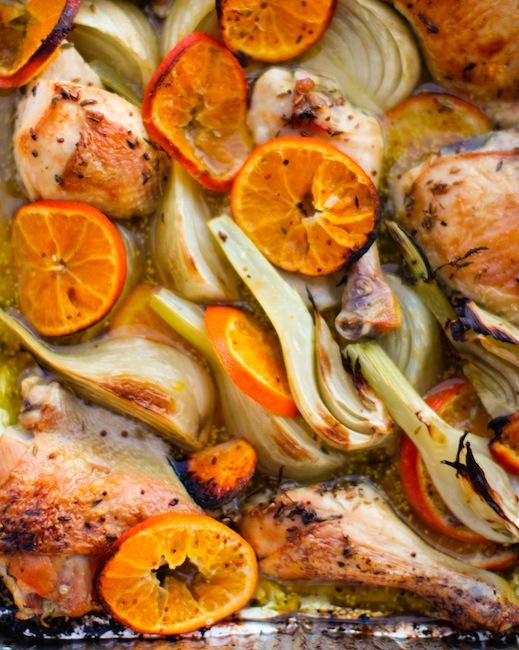 Lift the chicken, fennel, and clementines from the pan and arrange on a serving platter; cover and keep warm. Pour the cooking liquid into a small saucepan, place over medium-high heat, bring to a boil, and then simmer until the sauce is reduced by one-third, so you are left with about 1/3 cup/ 80 ml. Pour the hot sauce over the chicken, garnish with parsley, and serve. (I think you could comfortably skip this last step as well, if you want to keep it short and simple; just pour the sauce without reducing it over the chicken). Hey! Were you able to watch the full show? It doesn’t seem available outside of London… Would absolutely LOVE to see it! Was just thinking about you yesterday! Greetings from the Jungfrau region, where I survive on röstis and Jagertee mit Brandy, the beverage that makes you think you’re a world champion of slalom. This looks so delicious. I’ve saved a link to your post and will definitely return. Thank you. I hope you try it, Denise! It’s super tasty! Hi! your hummus looks gorgeous! can’t wait to try it… the book is such an inspiration! I made the swiss chard fritters last night, and they were so easy and delicious.